There’s a remarkable moment about halfway through the playable demo of Lightning Returns: Final Fantasy XIII that Square Enix has been showing to the American press this fall. After rescuing a giant bird from a slavering, bird-eating monster, it’s not entirely clear where Lightning should go or what she should do. There’s a bunch of sidequests to complete, from finding lost family members for local citizens to gathering up food and medicine for that sick bird, but the game doesn’t tell you explicitly how to do any of these things. After years of games like Final Fantasy X and Final Fantasy XIII, where the famed role-playing series does little more than lead its players by the nose down gaudy, linear paths to the next melodramatic dialogue scene, this final entry on the PlayStation 3 and Xbox 360 leaves the player to explore, to wander into the unknown and find answers for themselves. Like the heroine it’s invested so much capital and time in over the past decade – Square Enix has been developing Lightning-starring Final Fantasy XIII games for ten years now, and the first of those alone cost $65 million to develop – the creators of Final Fantasy aren’t entirely sure where to go. There are new games on shelves and on the horizon in addition to Lightning Returns, but even those are the products of past work that are only now coming to fruition. Final Fantasy XIV is a re-launch of a failed 2010 MMO. Final Fantasy XV, due out on PlayStation 4 and Xbox One in the near future, is actually just Final Fantasy Versus XIII, an aborted PlayStation 3 exclusive that went into development all the way back in 2006. Square Enix is desperately trying to figure out what the future of its signature series is, going so far as to form an internal team called the “Final Fantasy Committee.” This group of key creators is headed up by Yoshinori Kitase, current producer of the series and a writer/director whose history stretches back to the Super Nintendo’s Final Fantasy V.
That original creator Kitase is so hesitant to mention is Hironobu Sakaguchi, who left Square Enix a decade ago to form the studio Mistwalker. The philosophy of pushing video game technology as far as possible with a game that expresses the individual talent working on it drove the Final Fantasy series for years. It’s why every entry was so wildly different from the next. The Kitase-helmed Final Fantasy VI was an opera about a human empire and a race of demigods at war being brought low by a lone madman. It was followed by the hugely popular Final Fantasy VII, a melodrama that traded the mystical setting and massive cast of VI for a small ensemble and science fiction. One pushed the art of pixels on the SNES, the next ushered in an era of polygons and full-motion video on PlayStation. Infusing new blood, not just relying on an established team’s talents and technology, seems to be the third key to keeping Final Fantasy a thriving series. Sakaguchi got the series running, but it was letting upstarts like Kitase direct and write mainline entries in the mid-90s that allowed Final Fantasy to blossom. Even after the success of Final Fantasy X, another Kitase-led entry, the series evolved in surprising new directions under the lead of Yasumi Matsuno and Hiroyuki Ito, the two directors that made Final Fantasy XII. In the wake of Final Fantasy XIII, which disappointed many fans, Kitase recognized the need for new minds to helm the series. It’s because of Abe that Lightning Returns feels so open and adventurous compared to the other Final Fantasy games that came out over the past seven years. Abe actually started his tenure at Square Enix working alongside Tetsuya Nomura, director of Final Fantasy XV, on Kingdom Hearts II. He had high hopes for the battle system he created for Final Fantasy XIII but was disappointed when fans were divided on it. He realized the problem was a lack of cohesion between the battle system and the game world itself, something that also seems to be an essential element in making a true Final Fantasy game. The demands of modern game development affects the nature of the actual game content. Final Fantasy XIII, for example, buried scads of expository information in its menu systems rather than actually explaining things in a more natural way. The entire world and its history were never explained in dialogue, but only in big blocks of text that most players would never see. Final Fantasy XIII-2 went a long way toward addressing the narrative and gameplay failings of its predecessor, but the need to complete the game within 18 months forced the team to leave out chunks of the story. That story was reserved as supplemental material and released as downloadable content months after the game. 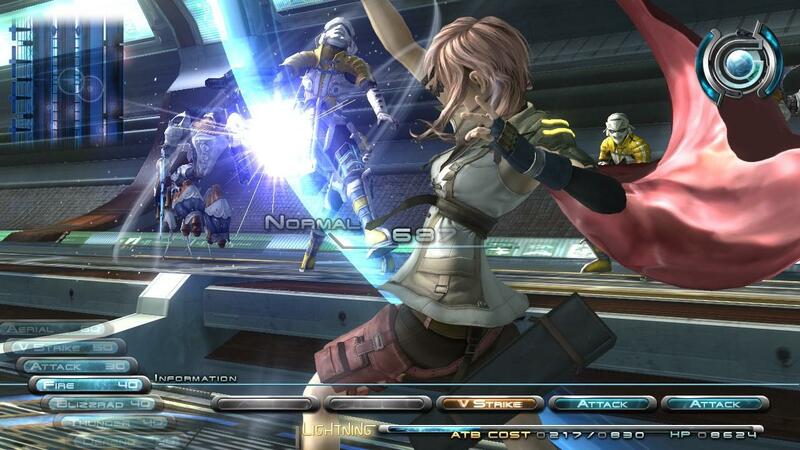 Final Fantasy XIII-2 was, in effect, released as an incomplete game, its ending purchased after the fact. The team promises that Lightning Returns is the complete package, but Abe acknowledged that no matter what shape the next Final Fantasy game takes, it will have to be backed by similar supplementary material. One thing that everyone working with Final Fantasy agrees on is the need to finish games quicker. The corporate culture at Square Enix has been trying to push for shorter development times for years now. Yoichi Wada, Square Enix’s former CEO who resigned in the spring of 2013, said all the way back in 2009 that “it takes us too long to finish a game.” Keeping development times shorter going forward will do more for the team than simply keep a product in front of customers. It will also keep the developers themselves creatively sharp. As of this writing, the door is closing on Final Fantasy XIII. While the game won’t be out in the U.S. or Europe for a few more months, Lightning Returns hit Japanese consoles on November 21. Now Kitase and his committee can get to work plotting just what form Final Fantasy XVI and beyond will take. Yuji Abe has the experience to move forward with his team and potentially make one of those new chapters in the quarter-century old series.